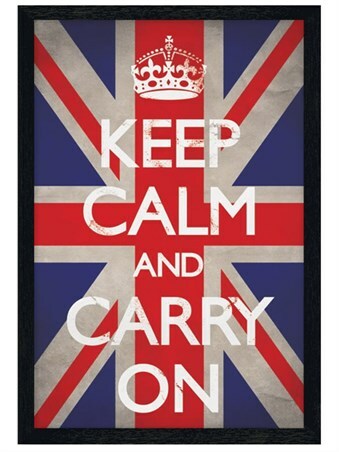 Humour Maxi Poster: If you feel like bringing some military style organisation and calm to your home then this brilliant 'Keep Calm and Carry On' parody poster is sure to make an impact on your wall. 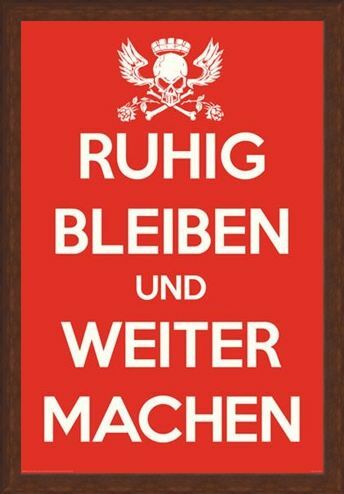 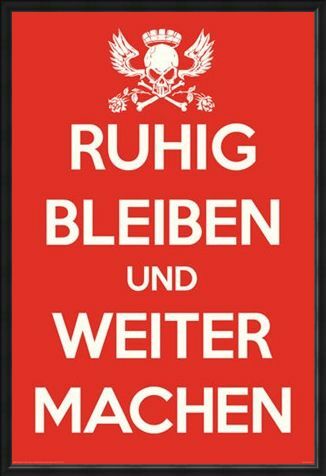 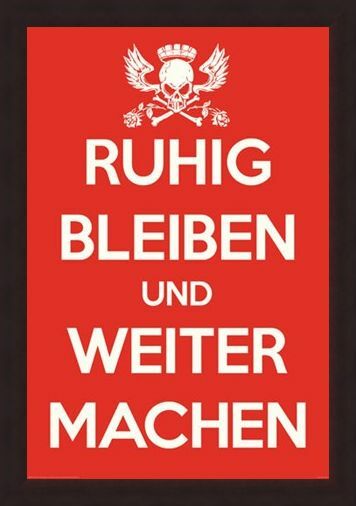 With white text set on a red background, this eye catching poster reads 'Ruhig Bleiben und Weiter Machen' which is the German translation of keep calm and carry on. 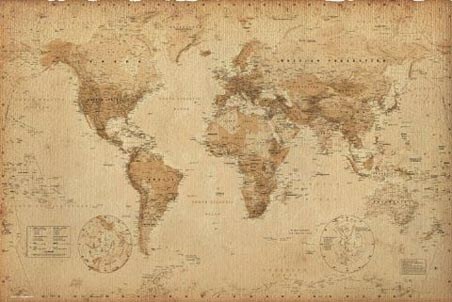 The crown jewels at the top have been replaced with a king crossbones design which is made from a skull with wings and roses and a crown upon its head. 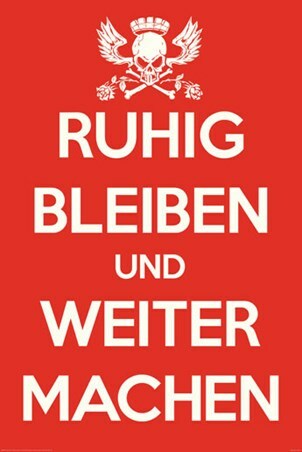 So why not inject some formality into your home with this striking keep calm parody poster. High quality, framed Ruhig Bleiben und Weiter Machen, German Keep Calm & Carry On poster with a bespoke frame by our custom framing service.